Jeremy Jarvis joined Wizards of the Coast in 2005 as the company’s lead concept artist for Magic: The Gathering. One year later, midway through the Time Spiral block, he was promoted to senior art director, responsible for guiding the art of every single Magic card. 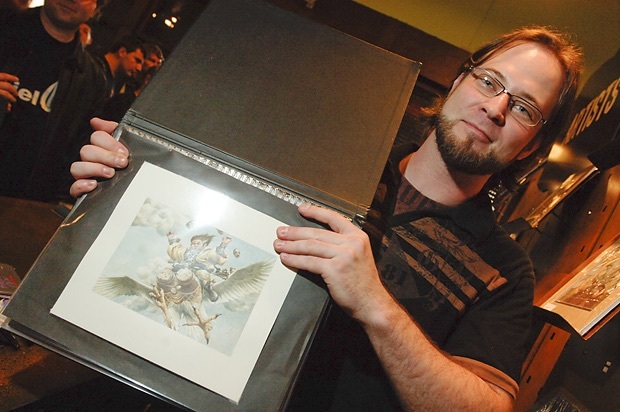 Jeremy Jarvis is pictured holding a piece of artwork at the Magic World Championships in Rome in 2009. To say that Jeremy has had an indelible mark on Magic over the past decade is an understatement. 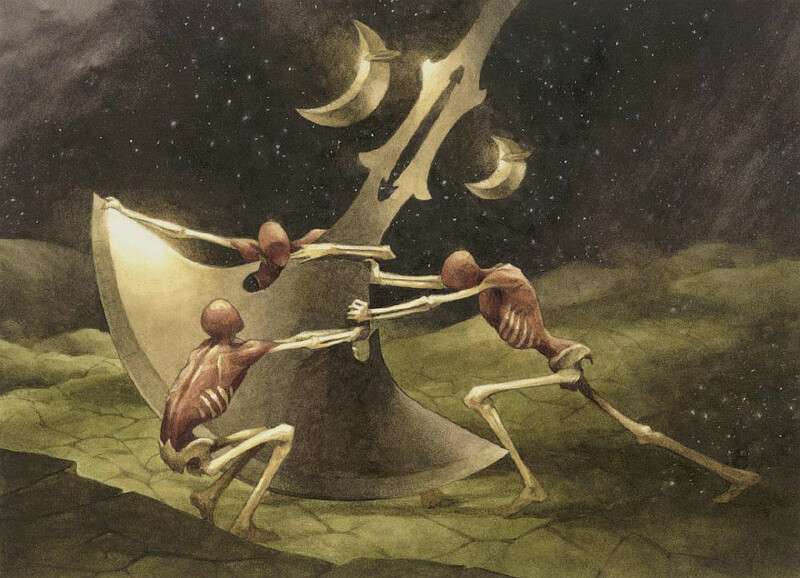 An artist in his own right who had illustrated nearly 50 cards for the game before joining Wizards of the Coast full time, Jeremy is now responsible for finding the most appropriate illustrator for each card concept and ensuring that those same illustrators produce top-flight artwork that also fits within the game’s branding. 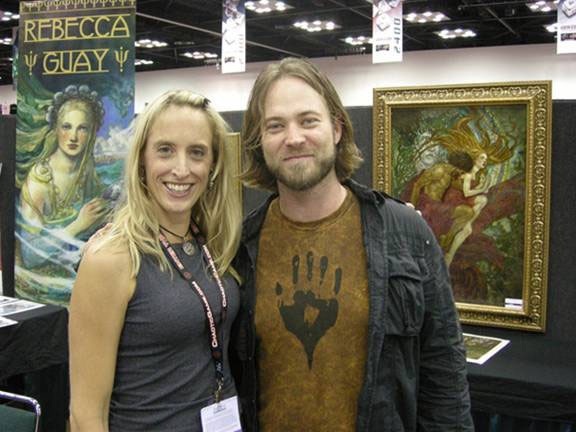 Jeremy Jarvis is pictured with frequent Magic artist Rebecca Guay at Gen Con 2008. As Magic players celebrate the completion of the Khans of Tarkir block, and eagerly await the release of Magic Origins, the game’s final core set, and Battle for Zendikar, the first two-set block, Art of MtG spoke with Jeremy via email about the game’s past and immediate future. 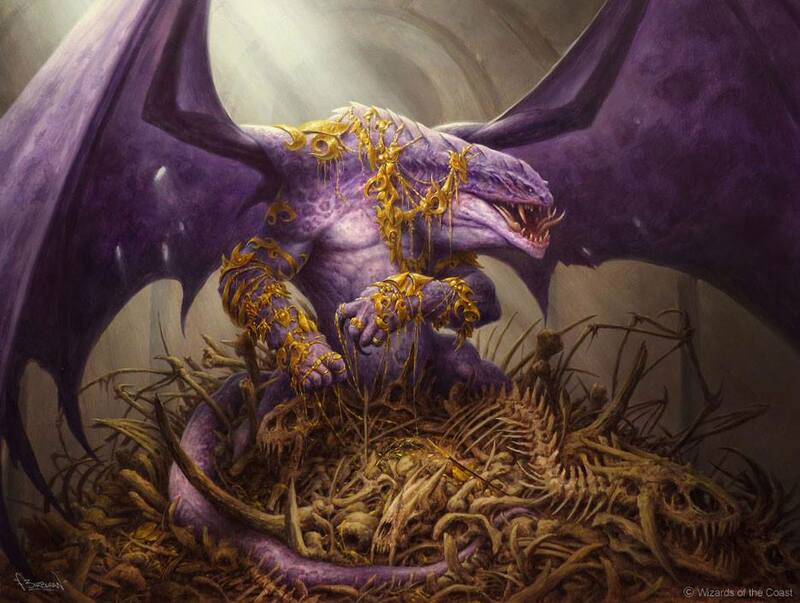 Art of MtG: First of all, congratulations on the release of Dragons of Tarkir and the completion of the Tarkir block. Thinking about the block as a whole, what would you say was the overall artistic philosophy of this set? Jeremy: The art needs of these three sets were really about being as smart as possible on the front end so that we could pay off time travel. To pay anything off, you have to set it up first. Every costuming gag, every time travel trope, every version of each clan all had to be very deliberately executed. And every incarnation had to be cool and awesome. Time travel is easy to communicate if you let the past be haggard and crappy. Well, we didn’t want to do that — every incarnation needed to be awesome on its own merits. “Set it up so we can pay it off” was the overall artistic philosophy, beyond just make five resonant and awesome clans. 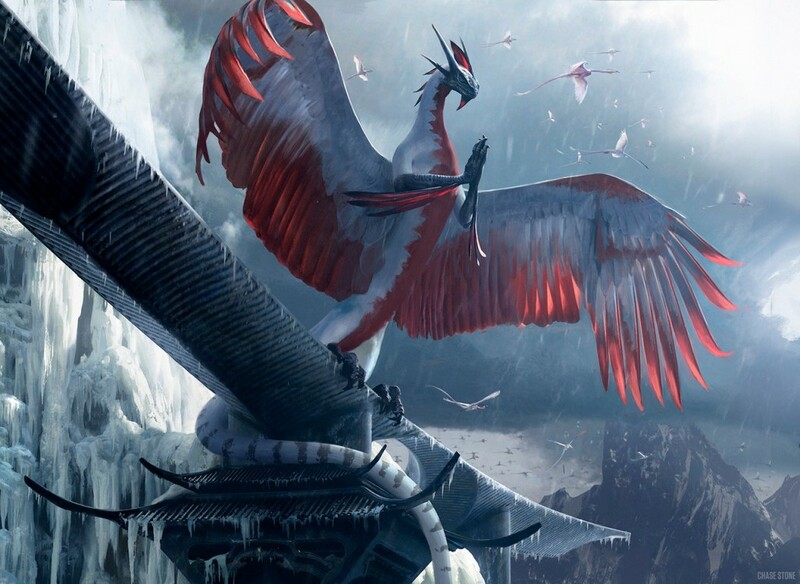 Fun fact: In Khans of Tarkir, the fletching for the Mardu arrows is made of Kolaghan-lineage dragon feathers. The Mardu are the clan of the wing, after all. 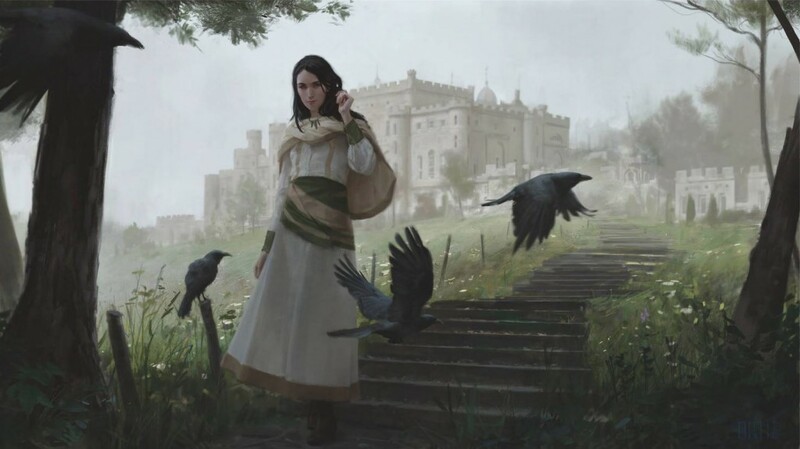 Art of MtG: The Tarkir block saw a number of new artists join the Magic stable, folks like Anastasia Ovchinnikova, David Gaillet and Y.W. Tang. What are some of the challenges and opportunities of working with artists who haven’t necessarily worked on Magic: The Gathering before? Jeremy: New artists often struggle with the limitations of cards. The small print size is the most frequent thing that illustrators who are new to illustrating cards have to wrestle with. That and working within gamut. 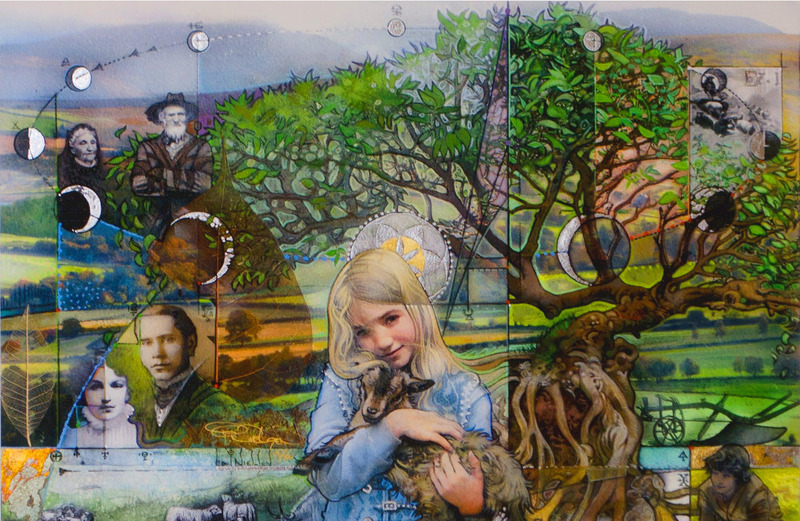 The opportunity is that you get to make awesome Magic artwork (which all three of your examples absolutely did! ), and we do try really hard to be an excellent client for illustrators. 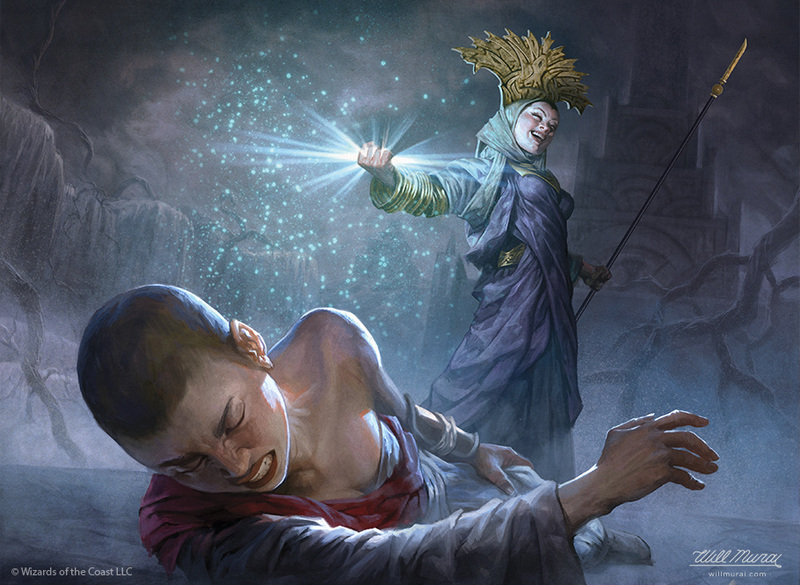 Art of MtG: At the same time, you had many veteran illustrators return for this block as well. How did these artists, who have worked on the Magic Multiverse in the past, help to shape Tarkir? Jeremy: Boring answer — they all continued to make extremely high-caliber artwork. Art of MtG: Over the past few months, Wizards has announced Magic: Origins and Battle for Zendikar. Without revealing anything that can’t yet be revealed, can you tell us anything about what the art direction for these two sets might be like? I am especially pleased with Battle for Zendikar. We’ve had some practice with “return to (setting)” sets, and it continues to be a difficult and rewarding exercise in not just delivering on the original creative, but also in delivering on people’s impressions and memories of the original creative. I think players and fans are going to be impressed. Art of MtG: In 2007, you mentioned that one of your goals was to make “spell” art less literal and more abstract and metaphorical. Do you think you’ve accomplished this goal? Can you share any examples that you’re particularly proud of? Jeremy: We have certainly done that where it is fun and appropriate. Unfortunately, the core set going away will mean we will see less of it. We will still get a Descendants’ Path every once in a while, but those card venues are hard to find when the creative for a set needs to be very cohesive. Art of MtG: What are your current goals for Magic’s art direction going forward? Jeremy: Speaking very tactically, we need to find ways to ensure that we can keep Magic’s very high visual standards as we continue to create more and more things each year. Protecting the quality bar is important to me. I’m also kicking around ways to make a new block more impactful against the previous block. We’re going to twice the number of planes per year now, so we need to be exciting twice as often. 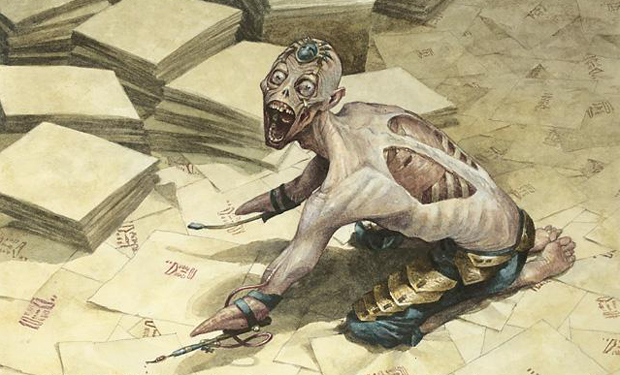 Art of MtG: You yourself illustrated nearly 50 cards for Magic over the years. Though I imagine you’re quite busy with your “day job,” do you have any plans to illustrate more cards in the future? Jeremy: No, I don’t have time. And everyone working on Magic now is better than me. Art of MtG: Are there any personal art projects that you’re currently working on? Jeremy: I cook a lot. Does that count? Art of MtG: Finally, in 2006 you mentioned that working with artists is “like herding cats.” So what have you learned about herding cats in the past nine years? Jeremy: We do our best to set things up for success on the front end of any given project. Making sure that people have what they need and making sure they know what’s important to us lets them do the thing that they are the best in the world at doing — making incredible art. Patrick Scalisi is a contributing writer to Art of MtG. After playing Magic: The Gathering as a child during the Fourth Edition era, he resumed again in the summer of 2012. He currently prefers red and white decks.